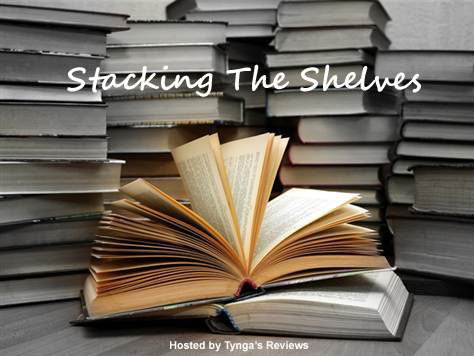 Welcome to the latest volume of Stacking The Shelves! This meme is all about sharing the books you are adding to your shelves, may those books be physical or virtual. This means you can include books you buy in a physical store or online, books you borrow from friends or the library, review books, gifts, and e-books. Volume 4 of Stacking The Shelves features a book I recently borrowed from a friend and my first Christmas gift of the year. Here they are! Allegiant by Veronica Roth (YA Dystopian / Science Fiction): The final book in Roth’s Divergent Trilogy caused loads of controversy after its release last year – one of the biggest reasons being that fans were disappointed and enraged by the ending. So, yes, I already know how Allegiant ends; discussion abound everywhere on the blogosphere and beyond. But I have to give this shot. At the very least, I want to try and finish this series, which has pleasantly surprised me so far (even though it’s been far from perfect). 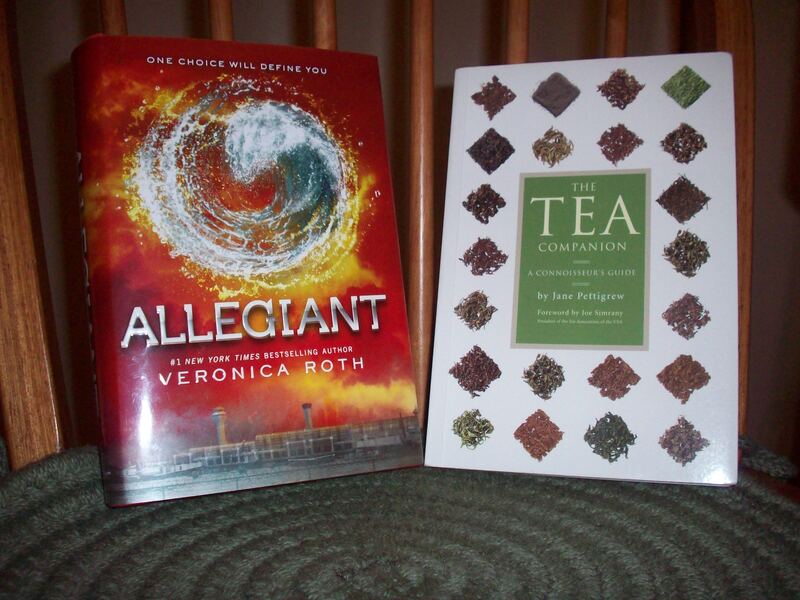 Right now, my plan is to wait until after the film version of Insurgent comes out next year before reading Allegiant. The Tea Companion: A Connoisseur’s Guide by Jane Pettigrew (Food & Wine / Health & Lifestyle): If you’ve visited this site before, you might already know that one of my freelance ventures is tea reviews. That’s why a friend of mine thought I’d be interested in reading this book. It’s all. About. TEA. 😀 The history of tea, different types of tea (black, oolong, green, and white), tea cultivation, all methods of brewing tea, cultural uses and traditions using tea – in short, The Tea Companion is incredibly informative. The entire second half is an in-depth index of all of the countries that produce tea, and what kinds of tea they produce. The Tea Companion also contains dozens of gorgeous photographs and images from the past and current-day. This copy shown above was printed in 2004 and is now out-of-date, so I recommend any tea lovers to check out the most recent version here. I know I’ll get myself a copy after Christmas – this would be a fantastic reference to have for future tea reviews! *lol* Yeah, I guess we’ll have to see where it goes once I reach that point. Oooh a book about tea sounds amazing! I love tea. Yes! Such an informative book. Can’t wait to get my own copy, especially now that I’ve returned it to my friend who was nice enough to let me borrow it. Kindle after one of my other writer friends recommended it. Excited to start reading! Thanks, Wendy! I can’t take the credit for the series, though; Tynga’s Reviews hosts it. I think I acknowledge that in the logo I created, but I should probably say so in the text from now on, too. Allegiant is actually the final book in the Divergent trilogy. Maybe you’ve heard of the first book, Divergent? They made it into a movie earlier this year. Yes, I highly recommend The Tea Companion. Although the copy I read is no longer in print; the current version is now called The New Tea Companion, and it’s by Jane Pettigrew and Bruce Richardson. That’s the version I would recommend. I haven’t read Allegiant yet either. I spoiled it for myself on purpose, because I was curious why it had only 3 stars on Amazon when I went to buy it. (And my guess was right) I hope you enjoy it, knowing the ending should help.